Home » Blog » macOS® Server EOL? Is macOS® server EOL (end-of-life)? It’s an interesting question. After all, IT admins use macOS Server to handle a variety of tasks, and one of them is to run Open Directory™ (OD). Yet, with all of the latest news around macOS Server components being deprecated, it is easy to wonder if macOS Server will be obsolete in a few years. Although there hasn’t been official word from Apple®, it would appear that macOS Server is headed towards retirement. In general there are many alternatives to most features in OD, and with the slow path of deprecating features, IT organizations have been able to accommodate those changes. Still, the one area where there is risk is with directory services. Let’s take a closer look at why this is. The leading directory service, Microsoft® Active Directory®, was created for Windows, on-prem environments. When AD was released in 1999, this was the most prevalent setup, so IT admins didn’t think twice about using AD to manage their Windows systems and users. Then, Macs started populating the workplace in the mid 2000’s. Since AD wasn’t built to manage this non-Microsoft resource, IT organizations turned to Open Directory to manage their Mac systems and users. For a long time, there haven’t been any other stand-alone options for managing Mac systems, so the idea of a discontinued Open Directory is unsettling for many who depend on OD to manage their Mac-centric IT environment. If Open Directory is on its way to being dissolved, what other Mac system management options do IT organizations have? Open Directory users have clearly eschewed Microsoft’s Active Directory platform because of its lack of integrated support for Mac systems. So, shifting back to Active Directory from Open Directory doesn’t really seem like a viable alternative. While OD is a variant of OpenLDAP™ (the leading open source directory service), it’s clear that OpenLDAP struggles a great deal with Mac and Windows systems, so that seems like an unlikely candidate as well. The good news is that there is a cloud directory service that treats all major platforms equally. This means IT admins can have deep system management across their entire fleet of systems, whether they are Windows, Mac, or Linux systems. 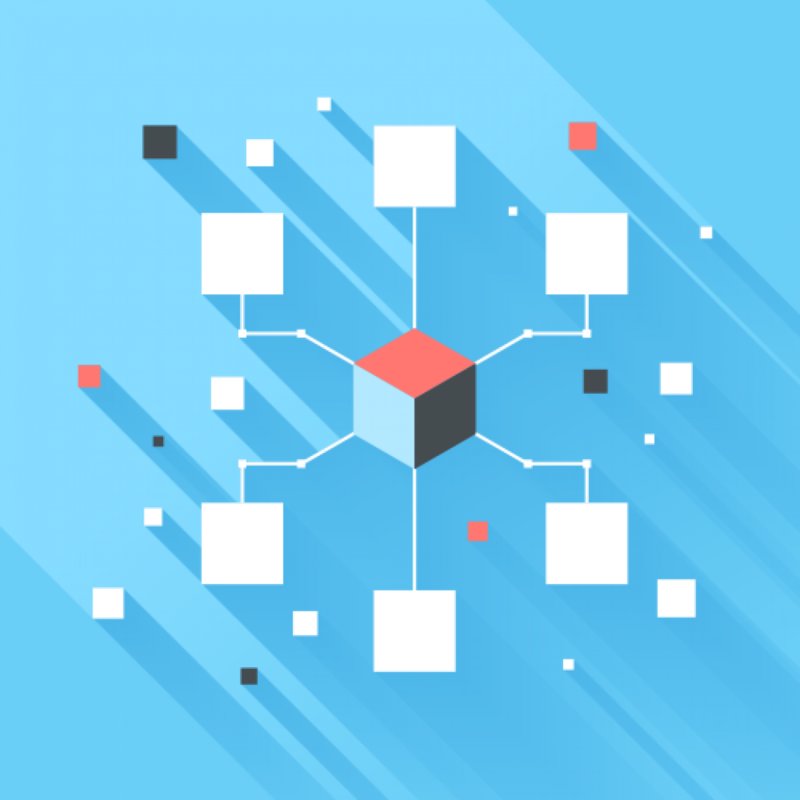 All three of these platforms can be equally controlled from a user and device management perspective, but this cloud directory service doesn’t stop there. It also secures and connects users to virtually all of their IT resources, regardless of the protocol, platform, provider, and location. This game-changing modern directory service is called JumpCloud® Directory-as-a-Service®. 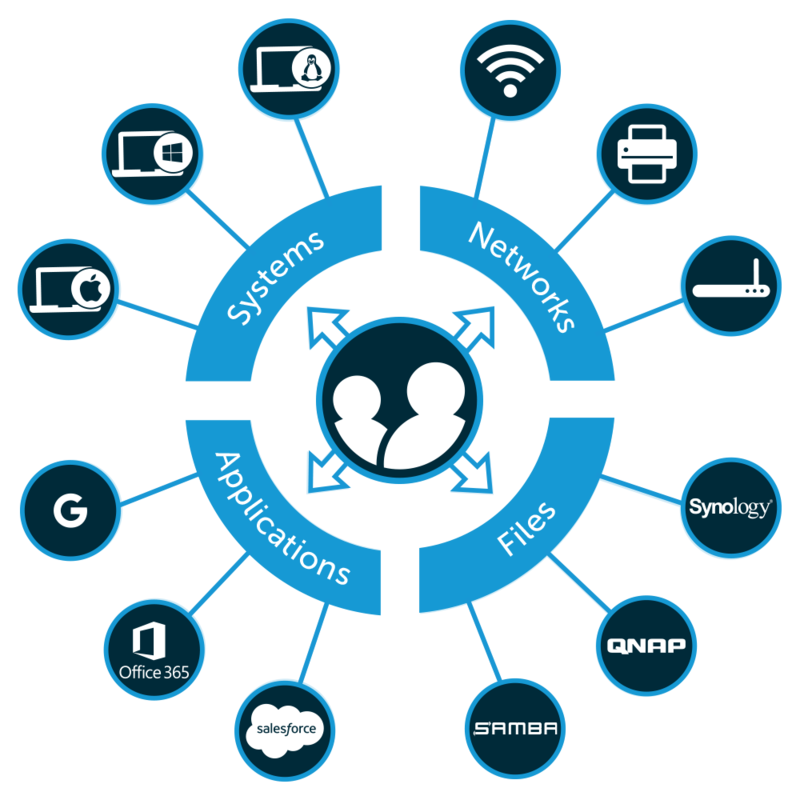 Our cloud directory service takes an independent approach that makes it possible to centralize control over systems (Windows, Mac, and Linux), on-prem and web-based applications, physical and virtual file storage, and wired and WiFi networks. 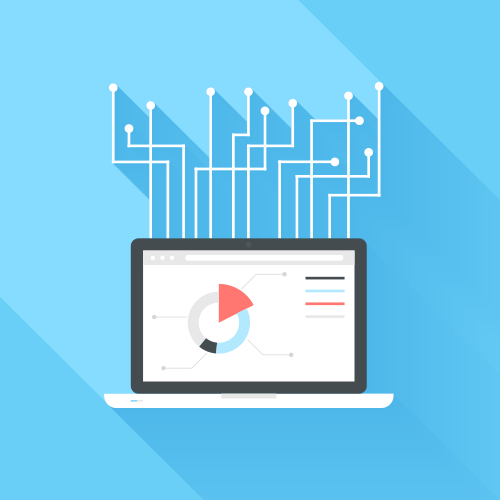 In addition to widespread visibility, IT admins also gain fine-tuned control over all of the systems in their environment with features like Commands and Policy Management. These features enable IT to remotely execute tasks and determine system behavior. Even if Apple hasn’t yet definitively announced macOS Server is at the end of its life, it is critical for IT organizations to have a plan for how to deal with future changes, especially where Open Directory is concerned. If and when that time comes, JumpCloud Directory-as-a-Service can replace Open Directory and provide you with secure, optimized system and user management. 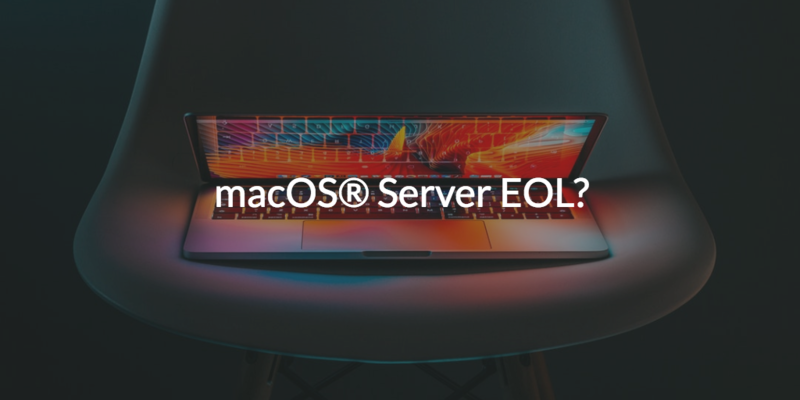 Do you need some more help figuring out what to do about a potential macOS server EOL? Consider watching the webinar above to learn more about securely managing Macs in a cloud-forward environment. If you’re ready to talk to a person, feel free to drop us a note. We’ll gladly walk you through how JumpCloud can solve your identity management challenges. You are also more than welcome to sign up for a free account. The whole system and user management platform is available, and your first ten users are free forever.